The Celsius Prestige consists of 52 dynamic lamps at 200 watts each plus high-pressure facials and shoulder tanners. 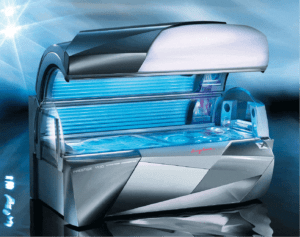 The maximum tanning time is just 10 minutes. This bed is ideal to prepare the skin for sun exposure. With proper skin care, only 8 sessions a month are necessary to maintain your tan.